The Epsom & Ewell Wellbeing Centre has won the Best Healthy Living Project at this year’s Living and Ageing Well Awards organised by Surrey County Council. The Awards provide an exciting opportunity for individuals and particularly volunteers, to be acknowledged for the positive contribution they make to their local community, improving services for older people resulting in increased wellbeing. 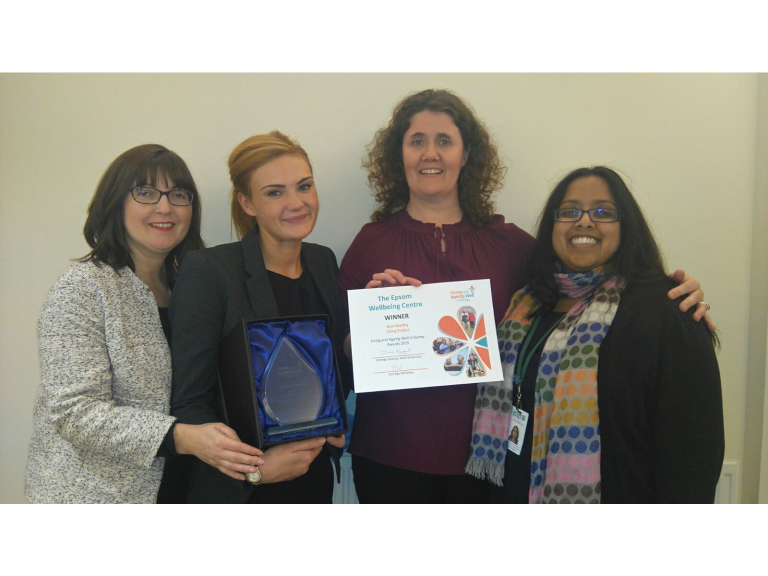 Attached is a photograph of the Epsom & Ewell Wellbeing Centre team along with their Award and Certificate.